crack at ice time – a definite plus! North Yarmouth Academy’s ice arena opened on campus in 1975. 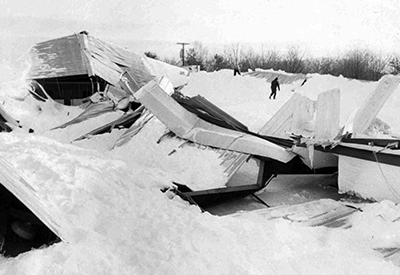 In 1977, the roof collapsed, and the rink was rebuilt. 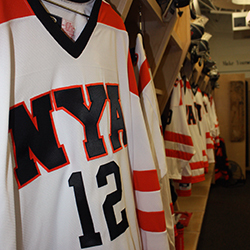 After an extensive remodeling, the facility was dedicated and renamed in honor of former NYA Panther hockey player Travis Roy on October 17, 1998. The Travis Roy Ice Arena is the home of North Yarmouth Academy boys and girls Middle and Upper School Prep hockey programs, as well as the home of Stride Envy Skating. Yarmouth Middle and High School Hockey programs also make the rink their home ice. Casco Bay Youth Hockey, Mid-Coast Youth Hockey, and the Southern Maine Middle School Hockey League practice and play here as well. Additionally, Yarmouth and Freeport Recreational Departments utilize the arena to teach their Learn-to-Skate programs for members of their communities. Men’s recreational hockey rounds out the schedule. 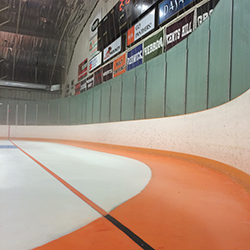 Travis Roy Ice Arena’s playing surface was the first in the state of Maine to install the “Look-Up Line,” a 40-inch orange safety line around the perimeter of the ice designed to warn players of their proximity to the boards and reduce the chance of injury. 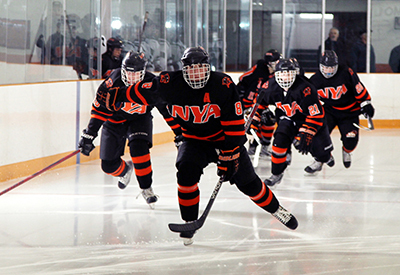 Amenities within the arena include newly renovated NYA boys and girls varsity hockey team locker rooms, four public locker rooms, a weight room, and a heated viewing area on the second floor. Skate sharpening and concessions are also available. To maintain healthy air quality, staff utilizes two electric Zambonis and an electric edger to groom the ice surface. The skating season runs from July to early March each year. During the season, an estimated 85,000 people visit the Travis Roy Ice Arena as either participants or spectators. 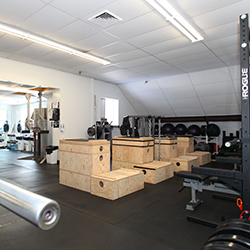 On the off season, North Yarmouth Academy uses the arena as an indoor practice facility for lacrosse and baseball. 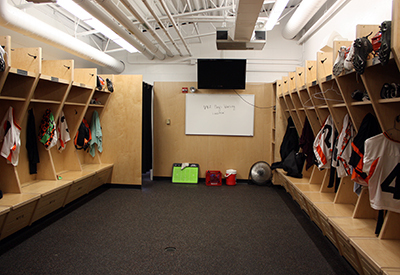 For information on Travis Roy Arena, please contact arena manager, Alex Kloza, at 207.846.2384.